The Olympic class events just keep coming, and this week it is the Italian city of Genoa that is preparing to host over 700 sailors between 15-21 April for the first ever Hempel World Cup Series regatta to be held in the country. Straight off the back of the Trofeo Princesa Sofia on Mallorca, this event will see big fleets as the Olympic selection bandwagon rolls into town. Eight of the ten olympic classes will compete – The two RS:X classes have been involved elsewhere in their European Championships. This is a busy period for the top British Sailing Team chasing Olympic selection and only in the Nacra17 and in the men’s 470 will there be potential Team GB selection competitors. Ben Saxton and Nicola Boniface, and John Gimson and Anna Burnet continue their battle for the Nacra 17 selection, and Luke Patience and Chris Grube in the 470 hope to maintain the momentum from Mallorca before heading to the 470 Europeans in early May. But Europe is where the action is for the rest of the world and the Genoa World Cup is where they will from Monday 15 April. Home nation hopes will be firmly pinned on 2018 World Champions Ruggero Tita and Caterina Banti in a highly-competitive 49-boat Nacra 17 fleet. In the 49er Pete Burling and Blair Tuke return to World Cup racing, and with Britain’s Fletcher and Bithell busy with the SailGP F50 event in San Francisco, they will be looking to getting back into winning mode. In the women’s 49erFX, Brazil’s Martine Grael and Kahena Kunze will continue the battle with Alexandra Maloney and Molly Meech, while for Britain’s Sophie Weguelin and Sophie Ainsworth this would be a good one to get back on the podium. 116 Laser sailors will line up in Genoa, with Pavlos Kontides of Cyprus hoping to put the poor performance in Mallorca behind him. In the Laser Radial, Denmark’s Anne-Marie Rindom will be the one to beat following her gold medal performance at Trofeo Princesa Sofia. It will be no easy ride for Patience and Grube in the 470, where they will face the top teams from Mallorca again in a very strong fleet. Similarly in the women’s 470 event where although Hannah Mills and Eilidh McIntyre miss this one, current World Champions Ai Kondo Yoshida and Miho Yoshioka are here and Camille Lecointre and Aloise Retornaz of France will want to make it gold this time. In the Finn fleet, Jorge Zarif of Brazil is the only competitor in the world’s top 15 racers present and will be favourite for gold. 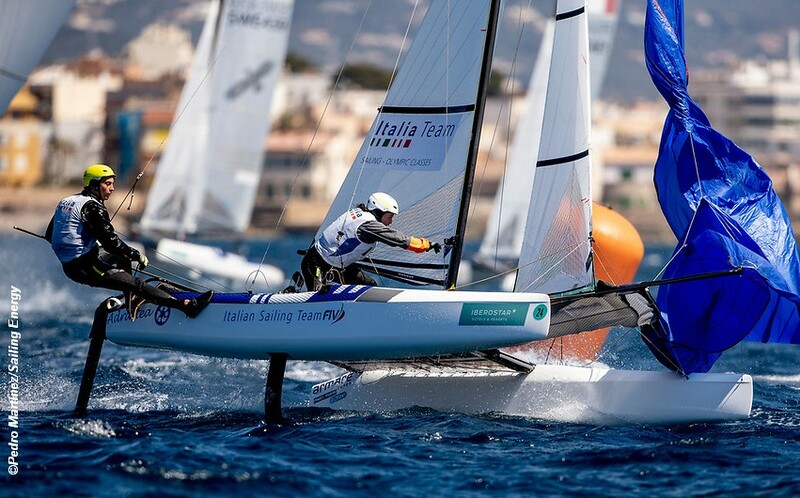 Straight after Genoa the fleets will head to the Olympic Classes Hyeres Week, followed by a series of individual class European Championships through May.